On their way to a science fair, Timmy and the Galaxy Scouts find themselves instead in the World of Tomorrow…or many worlds of many tomorrows… and yesterdays… not to mention the Happiest Place in the Galaxy…or is it? With our heroes scattered across time and space, will any of them be home in time for Christmas? Stay tuned! Jumping Jupiter Hot Chocolate — Made with cocoa and chili pepper, just like the Aztecs used to drink! Robot voices by Monty Ashley, Jason Snell, Glenn Fleishman, David J. Loehr, Moises Chiullan. Commercial interruptions by the Incomparable Radio Theater players, featuring Iain MacKinnon as Donald Wenceslas. See you next week - David’s in the zeppelin on a manhunt this week, but enjoy a word from one of our newest sponsors. Host David J. Loehr. Season 0, Episode 1 - In anticipation of our first original season of Incomparable Radio Theater coming later this year, we’re re-presenting the material from the two previous radio theater episodes of The Incomparable as a sort of “season zero.” In this episode, Timmy Preston and the Galaxy Scouts discover a mysterious stowaway and The Fog and Margo encounter a man and some menhirs. Plus: Carl Phillips and The Gotham News Roundup. Host David J. Loehr with Andy Ihnatko, Steve Lutz, Monty Ashley, Dan Moren, Philip Michaels, Dan Frakes, John Siracusa, Glenn Fleishman, Sarah Barbour, Ben Boychuk and Scott McNulty. Season 0, Episode 2 - Tesla and Dot meet Jules Verne and Georges Seurat; Jenny Lane tries to sort through a series of red herrings in order to find a murderer. Plus, Melkot Elevators and Grantham Manor Tea Biscuits. Host David J. Loehr with Jason Snell, Serenity Caldwell, Glenn Fleishman, Scott McNulty, Greg Knauss, Steve Lutz, John Siracusa, Dan Moren, Jason Snell, Monty Ashley, Lisa Schmeiser, Andy Ihnatko, Lex Friedman, Sarah Barbour and John Moltz. Season 0, Episode 3 - A roller-derby champion discovers what it means to be a legend; Canadian separatists threaten a ship on New Year’s Eve, and only The Fog and Margo can stop them. Brought to you by Cornet Blue Disposable Facial Tissue and Chock Full Of Coffee. Host David J. Loehr with Philip Michaels, Lisa Schmeiser, Serenity Caldwell, Lex Friedman, John Siracusa, Steve Lutz, Dan Moren and Jason Snell. The Lives of Paul Citron; Marjorie Carter - Paul Citron runs into a holy mess in postwar Vienna; Marjorie, Milo, and Rudolph venture deep into Finland’s interior to find a magic item and discover an old friend. Plus, regular holiday updates from Carl Phillips and the Gotham News Roundup. Brought to you by Kleinman’s House of Music and Bushmill-Schmichaels Distillery. Host David J. Loehr with Lex Friedman, Serenity Caldwell, Monty Ashley, Steve Lutz, Scott McNulty, John Moltz, Andy Ihnatko, Moisés Chiullan, Merlin Mann and Dan Moren. "Too Many Telsas" - In a special holiday episode, Dot and Nik run into an unexpected set of fellow time travelers. And Dot is confronted with memories of her own Christmas past. Brought to you by Lohengrin Beer. Host David J. Loehr with Glenn Fleishman, Serenity Caldwell, Erika Ensign, Lisa Schmeiser and Jason Snell. Previewing our 2015 season - Did you know that we’re releasing a season of Incomparable Radio Theater in 2015? It’s true! In fact, right now we are rehearsing the script on the Incomparable Zeppelin… let’s listen, shall we? Host David J. Loehr with Serenity Caldwell, Erika Ensign, Lisa Schmeiser, Steve Lutz, Jason Snell, Tony Sindelar, Dan Moren, Monty Ashley, Philip Michaels, Scott McNulty and John Siracusa. Live from San Francisco - Live from the Layers design conference in San Francisco, this is a new performance of original material from the Incomparable Radio Theater! 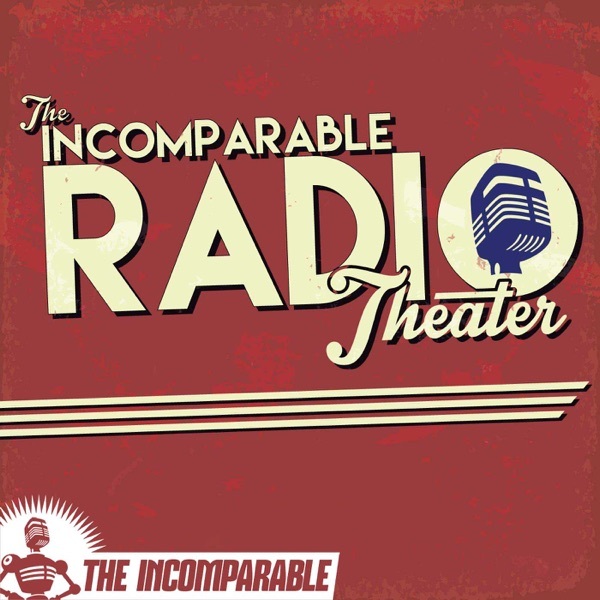 (And yes, a full season of Incomparable Radio Theater is coming your way later this year.) Host David J. Loehr with Serenity Caldwell, Moisés Chiullan, Antony Johnston, Dan Moren and Jason Snell. "Timmy Preston: Galaxy Scout", "Who Shot Merlin?" 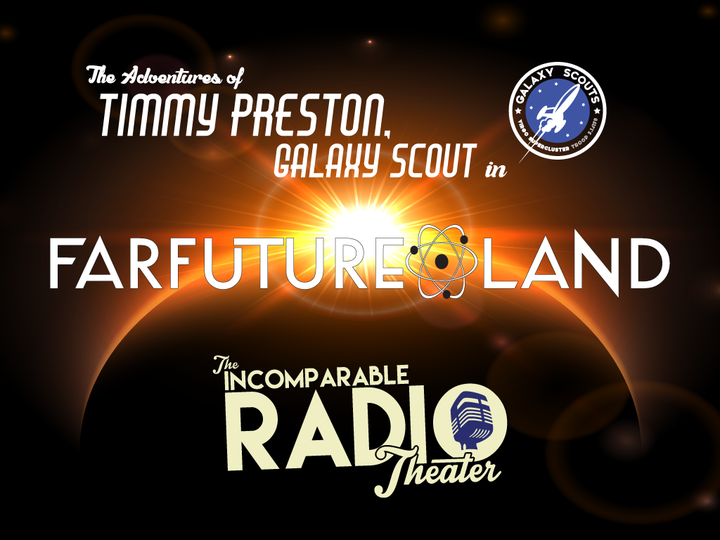 - Season Premiere: An “old friend” of Scoutmaster Greene’s makes trouble for Timmy and the Galaxy Scouts. Host David J. Loehr. "Sky Mounties", "There You Are" - When a bank robber vanishes in a mysterious phenomenon, the Sky Mounties go from the frying pan into the flyer! Host David J. Loehr. "Doll Tearsheet, Private Eyeful" - A prominent fashion designer is murdered, and his model girlfriend is the prime suspect. But when Doll Tearsheet begins to pull on one thread, the whole case starts to unravel… Host David J. Loehr. Two-Fisted Tales of Tesla - Tesla and Dot’s visit to Erwin Schrödinger at Princeton in 1934 is interrupted by a series of unexpected visitors. Host David J. Loehr. From the FQN Home Service - Princeton, 1934: Tesla’s got amnesia, Schrodinger’s colleague has become a Mandroid, and Dot and a cat are trapped in the box with a robot…or not…wait… We seem to have misplaced the conclusion to last week’s episode. Please enjoy this rare episode of The Go On Show from our sister service in the UK. Thank you. Host David J. Loehr. Two-Fisted Tales of Tesla, Part 2 - Tesla and Schrödinger try to track down a quartet of Mandroids on the Princeton campus, while Dot and Milton journey to the center of the Teslalator to evade a rogue Mandroid hand. Host David J. Loehr. Commander Jetpack - Commander Jetpack rescues a mysterious man from peril in the skies before meeting his yet-more-mysterious partner and battling peril beneath the waves! Host David J. Loehr. Marjorie Carter, Freelance Adventuress - When her sidekick Milo is kidnapped, Marjorie Carter embarks on a car chase through the wilds of Ireland to uncover an ancient mystery. Host David J. Loehr. The Many Lives of Paul Citron - In old Quebec, Paul Citron meets an old friend, winds up with an F, taunts a new friend, and makes out like a bandit—if the old friend can be believed… Host David J. Loehr. "Marjorie Carter", "There You Are" - When last we left Marjorie Carter, she was on the trail of her kidnapped sidekick, Milo, en route to Connemara and the mysterious Candle of Nuada. Also, if you’re curious about Charles Babbage’s analytical engine, There You Are! [This ends our run for 2015. See you in December for a Christmas special.] Host David J. Loehr. Christmas Special 2015 - On their way to a science fair, Timmy and the Galaxy Scouts find themselves instead in the World of Tomorrow…or many worlds of many tomorrows… and yesterdays… not to mention the Happiest Place in the Galaxy…or is it? With our heroes scattered across time and space, will any of them be home in time for Christmas? Stay tuned! Host David J. Loehr. A patriotic interlude - John Adams and Benjamin Franklin declare things in Philadelphia on a date that will live in infamy. Host David J. Loehr with Steve Lutz, Andy Ihnatko and Travis Bedard.